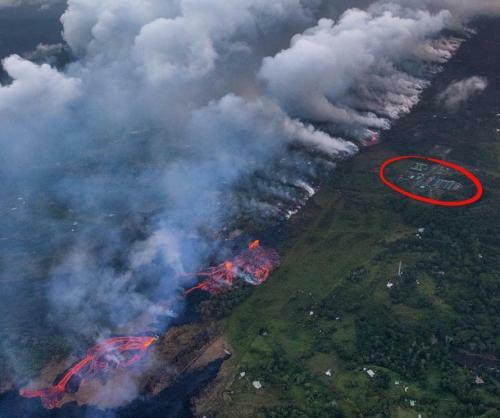 Browse: Home / Did Fracking Cause The Hawaii Volcano Eruption? 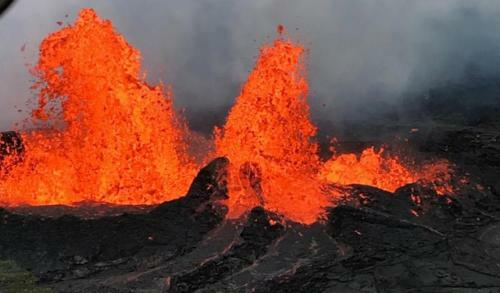 Reuters reports the eruption in Hawaii is entering a new, more violent phase with lava exploding as it pours into the ocean, shooting rock fragments that are a danger to boaters. Inland, where molten rock is burning through jungle, methane explosions are hurling boulders while toxic gas is reaching some of the highest levels seen in recent times. Additionally, Reuters notes that the race at the Puna Geothermal Venture site marked the latest challenge facing authorities during what geologists call an unprecedented, simultaneous eruption at Kilauea’s summit and from giant fissures 25 miles (40 km) down its eastern side. 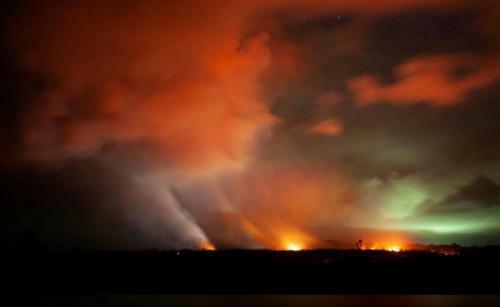 Many are asking, why now, why so suddenly, why such an “unprecedented, simultaneous” eruption? John Rappoport asks the uncomfortable question – Did fracking cause the Hawaii volcano eruption?